There’s no such thing as an easy Himalayan peak. I knew this already. For various reasons in the past I’ve failed to get up 6000, 7000 and 8000m peaks. Until now I’ve not made any attempts on 5000ers, but I expected the same principles to apply. It’s officially still winter in Nepal until 21 March. That’s why this year the Spaniard Alex Txikon persevered with his winter attempt on Everest until halfway through March. Mountaineering bodies may classify it as winter, but for locals (and nature), spring is on the way, if it hasn’t already started. The rhododendrons are in flower, and the winter snows are starting to melt … or are they? March was the month that I could get time off work this year, so we set out for Nepal in the hope of climbing some trekking peaks. 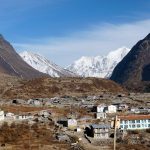 We selected the Langtang region, because it’s easily accessible, and the trekking peaks are not considered too challenging. We hoped to make winter ascents of three peaks in the 5500m – 5900m range, but we managed only the “easy” one, Yala Peak. We experienced glorious conditions for much of our time there, but also huge amounts of snow. It snowed every day for a week, the very week we were hoping to climb, depositing anything and everything from inches to metres of fresh snow. When I was a small child I used to love fresh snow. We’d go into the fields behind the village and toboggan down the hillsides on plastic bags. Some kids even had sledges. We’d have snowball fights, and we’d build snowmen. One farmer even had a snowman graveyard (it was only later I discovered it was just a field of carrots). If you’re trekking and mountaineering in the Himalayas, however, fresh snow isn’t such good news. It improves your photographs, but only in places you can get to. For various reasons it also plays havoc with your plans. Here are three reasons why. Although I’ve failed to get up mountains on many occasions, I’ve generally been successful at completing treks. And why not? After all, you just have to keep putting one foot in front of the other, don’t you? 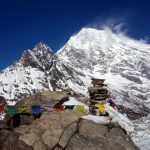 Most treks in Nepal involve crossing high passes of 4000 – 5000m (or even 6000m in the case of East Col, West Col and the Amphu Labtse in the Solu Khumbu region). If you can’t get over the pass, you may be able to cross another pass instead, but usually the only alternative is to go back the way you came. The best known example of this is the Annapurna Circuit. The reason trekkers are so determined to get to its high point, the 5416m Thorong La, is because it’s found only halfway round the circuit. If they don’t get over it then they have to return the way they came (all the other high passes in that area are much more remote or difficult). 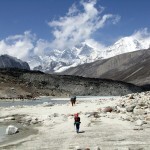 Another example is the Snowman Trek in Bhutan, which has ten passes over 4000 – 5000m. 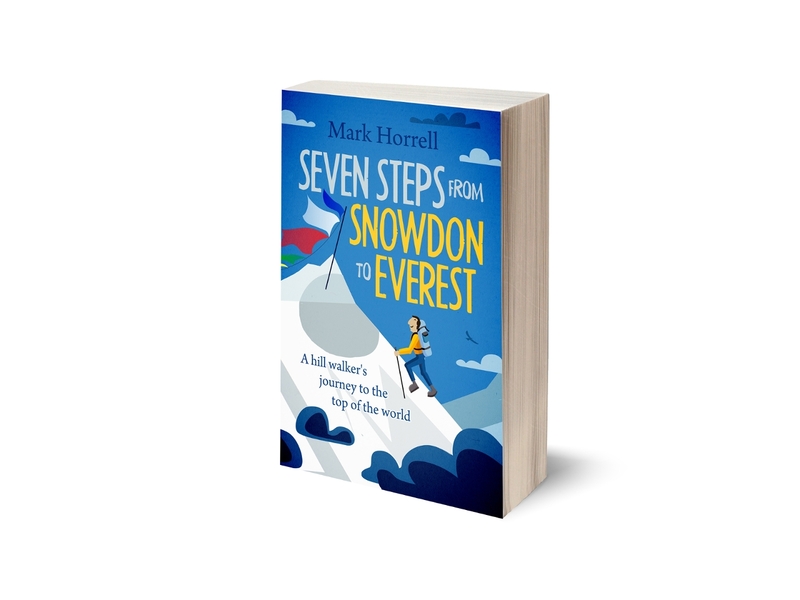 There is an oft-quoted “fact” (unverified) that more people have climbed Everest than have completed the Snowman Trek (luckily I’ve done both). Bhutan is further east than Nepal, and gets more rainfall (and snowfall). It’s also the habit in Bhutan to use yaks and horses rather than porters. 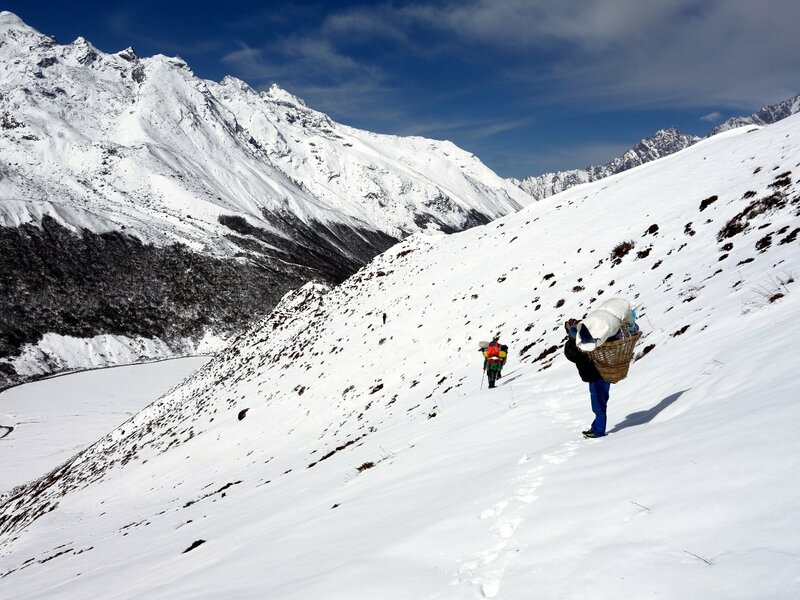 Porters tend to be slightly better at climbing, but for various reasons, they’re not as good at it as mountaineers. While it’s a myth that Himalayan porters walk barefoot or in flip-flops, not all of them have rugged walking boots. Most porters trek in trainers (sneakers). These are perfectly adequate for rugged trails, but they’re more of a problem in deep snow. Trainers are not waterproof, and quickly become saturated when walking through deep snow. This is not a problem if it’s warm enough and the sun has chance to dry them, but it’s a big problem if not. Wet feet equals cold feet, and on high mountain passes in the Himalayas, cold feet can mean frostbite. There’s also another problem with very deep snow that I’d never really considered until now. There was so much snow in Langtang this month that it covered boulder fields. You would have no idea you were crossing an area of rocks until your leg went through a hole. Sometimes we would fall up to our waists. This could be quite entertaining for the person walking behind you, particularly when you struggled to get out again. But for porters who are carrying dozens of kilos by means of a headstrap, these rock crevasses can be quite dangerous. 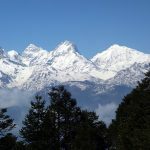 On a few occasions I’ve tried to arrange treks in Nepal in certain areas and on certain dates, only to be told that it’s the wrong time of year to do that particular trek, because there’s a likelihood the passes will be closed. Our intention was to cross a 5130m pass called the Ganja La, which also provided access to two of our peaks, Naya Kang and Ganja La Peak. Once over the pass we intended to take a different trail through the Helambu region back to Kathmandu. Unfortunately, there was so much snow that it was going to be a problem for our porters to get up to the pass and establish camp, never mind get across it. We had to abandon our plan and return down the Langtang Valley. I came back from this trip with a greater respect for mountaineers who make winter ascents. It doesn’t take a genius to realise ascents in winter are much colder than ascents at other times of the year, or that days are shorter with less daylight. But it may not be quite so obvious that winter ascents are far more physically challenging too. This is because trail breaking through deep snow is exhausting. We made a winter ascent of Yala Peak, but we also cheated a bit. Our high altitude porter and strong man Sangye broke trail almost the entire way up. On the trail near Shin Gompa we’d watched Sangye scare off a yak by throwing two huge boulders a distance of thirty metres and landing them at the yak’s feet. If I’d tried to throw the same boulders, I’d probably have dropped them on my toes. But Sangye wasn’t a trained mountain guide. We had no permit or insurance for him on Naya Kang, so we needed to share the trail breaking with our 56-year-old guide Gombu. This in itself may not have prevented us climbing the mountain – poor as I am at shot-putting massive boulders, I’m not averse to a spot of trail breaking – but it would have made it a lot harder. Deep snow doesn’t just cause a problem with trail breaking, but with trail finding too. During a later part of our trek we did some exploring in the upper reaches of the Langtang Valley. Denied our trekking peaks, we decided to climb a little 5200m peak we thought would make a nice viewpoint. The peak was accessed by means of a side valley containing a pleasant lake nestled within a combe. There was a trail marked on the map, but the trouble was, none of us had been up the valley, or had any idea where the trail was. It was buried under deep snow, so we just had to launch up the valley, following its natural contours. This took us through rhododendron thickets, and over boulder fields with many rock crevasses. We all lost our legs in them from time to time, and Sangye even disappeared up to his chest. Gombu leaped across a stream onto a “bank” the other side, only to discover the bank was a pile of snow on top of a sheet of ice. I didn’t see it happen, and the first I knew of it was when I saw him lying in the stream roaring with laughter. Never mind the peak, we had to abandon our little foray without even reaching the lake. 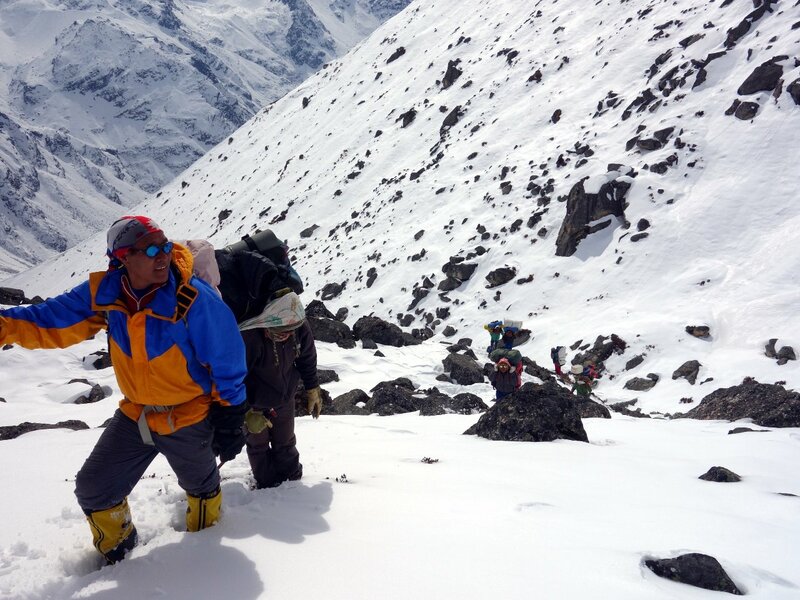 Had we been ace trail breakers, who found the route up to the Ganja La and cleared it with shovels so that our porters could follow – had we been strong enough to break trail up Naya Kang carrying Gombu on our shoulders, we still wouldn’t have climbed it. The night we were due to climb Naya Kang, we were still at our teahouse in Kjangjin Gompa. A light snow fell all night, and by the morning there were several inches of snow on the ground. We could see there had been a lot more snow up high. The north side of Naya Kang was completely white; on a normal day Gombu said it’s black rock. Powder snow slopes are not very safe. Some of the most dangerous ones are those with a hard crust on top with soft powder underneath. Avalanches can be triggered on these by people walking across them. 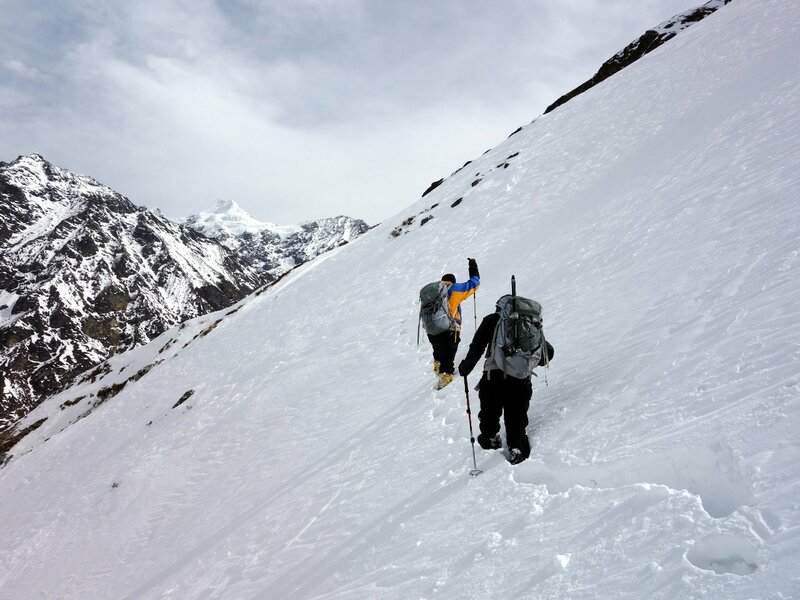 We encountered such a slope when we were traversing Tserko Ri on our way to Yala Peak base camp. It was only a short section, and I breathed a sigh of relief when the last porter came across safely, but I wasn’t very happy about it. Our exploratory foray up the side valley came to an end when I dug a snow pit on a similar slope and found the snow in poor condition. There was no point taking the risk again. Naya Kang was a steeper, more dangerous mountain. After fresh snowfall it’s wise to wait a couple of days for the snow to consolidate. We didn’t have enough spare days in our itinerary. We decided to leave Naya Kang for another occasion. Fresh snow can turn the Himalayas into a winter wonderland, but it doesn’t half bugger up your plans.